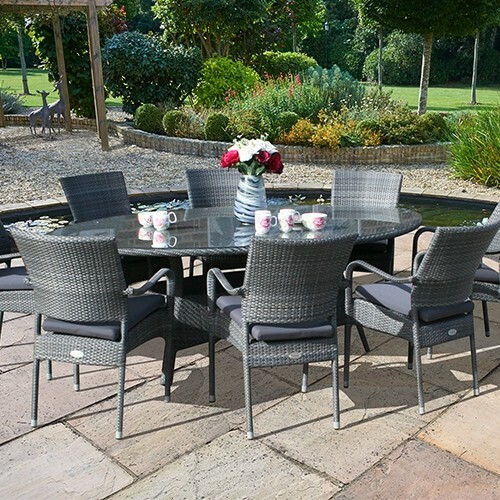 The 220cm Sussex 10 seater rattan garden furniture set is ideal for entertaining larger parties in style. The soft white weave in combination with lime, black or pistachio waterproof cushions makes for a striking outdoor set that will enhance larger outdoor or indoor areas. 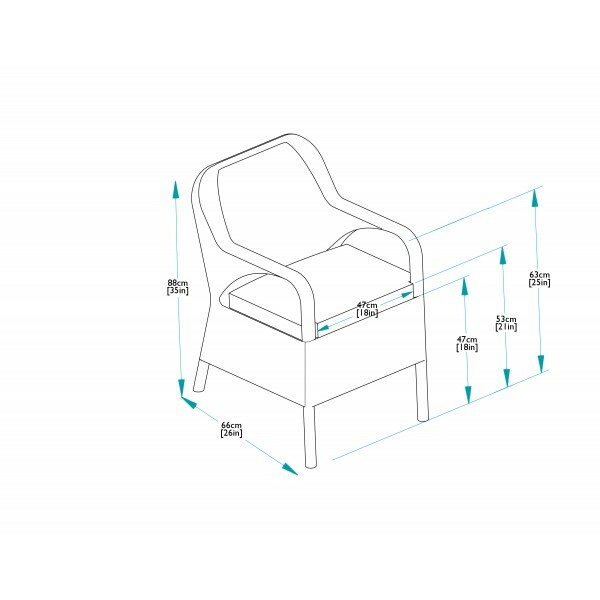 The furniture is made to the highest standards. 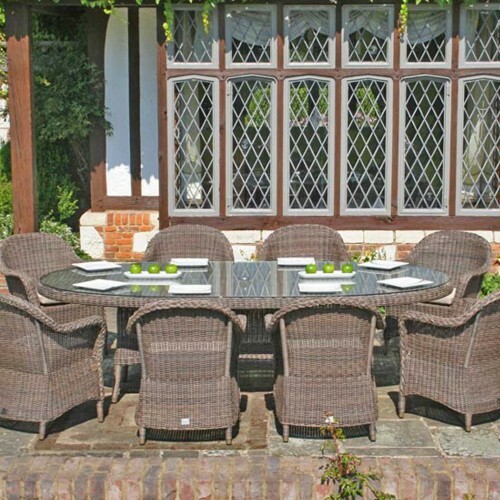 An all weather rattan weave is skillfully hand woven over an aluminium frame, to create strong and durable furniture that will last a lifetime. The set consists of a 220cm x 100cm Rectangular Dining Table, supplied with safety glass, two Sussex Dining Armchairs and eight Sussex Dining Chairs. The chairs all come complete with acrylic cushions, in a choice of bright lime green or sophisticated black colour. 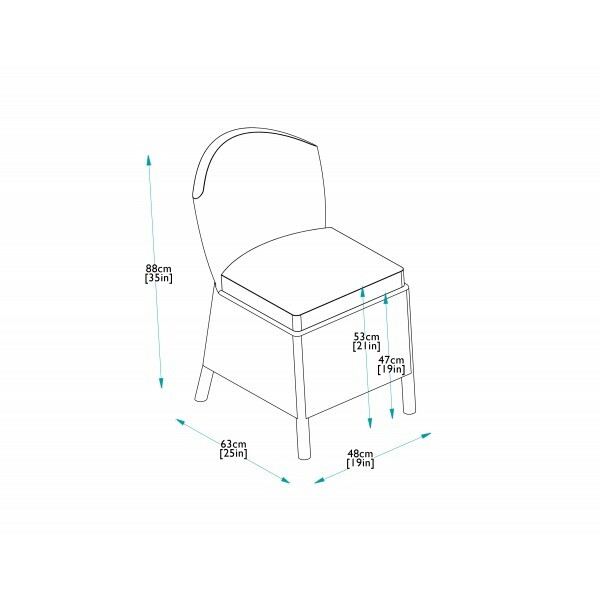 The dining armchairs and chairs are strong and easy to move. The ergonomic backs make them extremely comfortable and a pleasure to use. 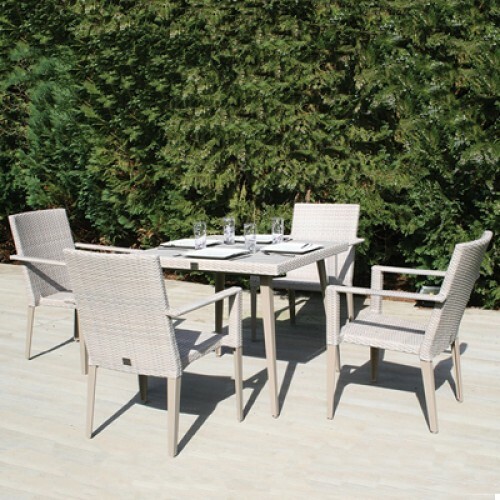 This high quality outdoor furniture has been tested to withstand temperatures ranging from -70°C to +80°C. It is perfectly happy to remain outdoors all year long, although the lime or black standard cushions should be brought in during wet weather. The Pistachio waterproof cushions can stay out in the rain. 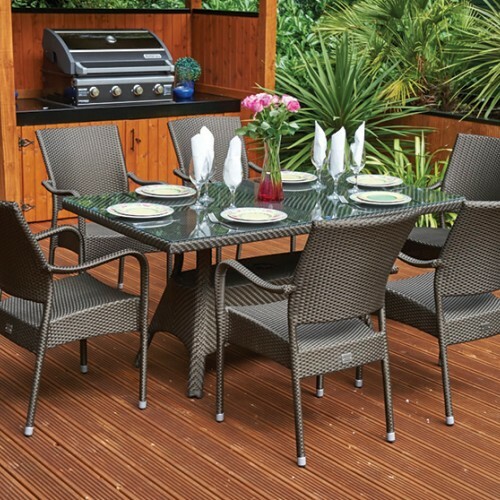 This impressive outdoor furniture set benefits from Bridgman's 10 Year Guarantee. Other matching lounging furniture, sun beds and ancillary items are also available to enhance the furniture.